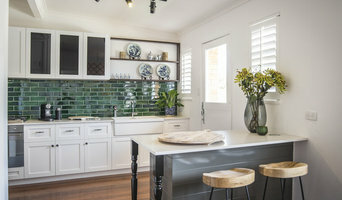 Ideal Renovations is a renovating and interior design consultancy based in Brisbane, with a broad range of services from concept to overseeing completion. With the ability to assist in residential, corporate and hospitality projects, Ideal Renovations can help with Kitchen renovations, DIY advice, makeovers or simply redecorating and colour consultancy. 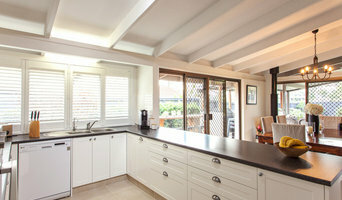 Independent Brisbane based Designer, specialising in Kitchens and Bathrooms. At designBpm we believe you deserve hardworking spaces, relaxing environments and value. Bridget is a Brisbane based independent Designer, whose work is showcased across Southeast Queensland. While she specialises in Kitchens and Bathrooms, she has also used her creative skills to design professional office suites, bars, retail spaces and even a dance studio. She believes great design doesn’t cost a fortune. Her motto is ‘Design smart, always source the best you can then do something fun with the money you saved.’ Greg is a master craftsman with decades of experience. His meticulous attention to detail and love of his craft ensures your project is both beautiful to look at and exceptionally well built. In short, you can’t go past Greg for quality and artistry. Whether it’s a farmhouse or a penthouse, designBpm can help you. On time, on budget, meeting your expectations … and then exceeding them. Our design philosophy at Leah Williams Design is simple; every home should tell the story of those who live there. I love nothing more than working with my clients to uncover their own unique story and incorporating that into their home through the use of beautiful fabrics, art and their own special photos and memorabilia, it’s through this process that a home really comes alive with the energy and personality of its owners. The Leah Williams design team would be delighted to work with you to create your own unique space, good interior design is not about following a trend but more about creating a timeless space that leaves a lasting impression. We operate out of our Brisbane studio offering interior design services to Brisbane, Gold Coast, Sunshine Coast, Byron Bay and Kingscliff residents. 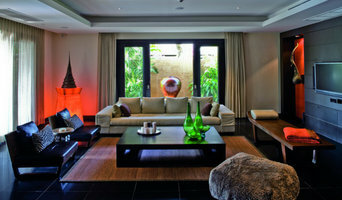 We truly believe everyone should live a beautiful life so we offer affordable solutions to fulfil individual desires. Australian Interior Designer Keeley Green is the owner and lead designer at KGID and co-founder of luxury hand-designed wallpaper and fabric brand Ailanto Design, in partnership with creative mind Amanda Ferragamo. KGID offers a bespoke interior design service, specialising in managing complete property transformations, from changes to floorplans through to the careful and creative custom design of all elements of a property. We are committed to creating beautiful, sophisticated and functional spaces designed to suit you. 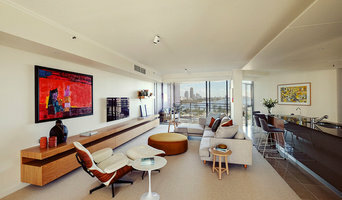 With years of experience in the Australian property development industry and a successful international career in interior design, a refined sense of grace, character and keen eye for quality underpin our ‘relaxed elegance with an edge’ design aesthetic, which translates across bespoke commercial developments, boutique hotels and high end residential projects. 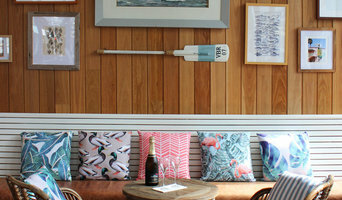 Need to decide on a new colour scheme for your house? Digital overlays put new colours on a photo of your home, to help you visualise new colour schemes and help you make the important decision of what colours to choose. The culture at K Co Design is built upon offering a personal and authentic approach to each project. We are primarily led creatively by our clients and we encourage our clients to get as much out of the design process as we do. It is a process of discovery and appreciation for design that allows us to deliver projects from conception through to construction and completion.